There is a grassroots movement, 4300 strong, known as “Save Our Hospital” gaining notoriety in Albert Lea, Minnesota. This story is symptomatic of the fact that hospital consolidation has slowly become a national pastime. With declining revenue under the Affordable Care Act, mergers increased by 70%, leaving small communities scrambling for healthcare access. The latest casualty in the ‘hospital-consolidation-for-sport’ trend is Albert Lea, a small city located in Freeborn County, Minnesota. Known affectionately as the ‘Land between the Lakes,’ it has a population of 18,000 spread over 14 square miles. Not surprisingly, Mayo is their largest employer; the 70-bed hospital serves almost 60,000 in a region including patients who live in Iowa. In Rochester, MN, the Mayo Clinic is regarded by many as one of the premier medical facilities in the country. Originally of humble origins, founder William Mayo opened a practice during the Civil War and later, passed it down to his sons; today, the Mayo Clinic flagship is located in Rochester, Minnesota and plans to become a renowned premier medical destination for the world. Corporations with such lofty ambitions tend to make “small” sacrifices along the way; often, on the back of a beloved rural town. On June 12, Mayo clinic administrators announced they would transition all inpatient services to Austin, more than 20 miles away. Mayo cited ongoing staff shortages, reduced inpatient censuses, and ongoing financial difficulties as their reasons for hospital closure. Rural care was mentioned to be at a crisis point, which is an altogether callous assessment of the troubling situation facing communities across this country. 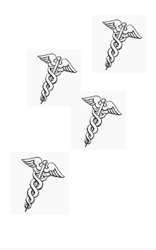 In 1978, the Institute of Medicine published A Manpower Policy for Primary Health Care: Report of a Study (IOM, 1978) where they defined primary care as “integrated, accessible services by clinicians accountable for addressing a majority of heath care needs, developing a sustained partnership with patients, and practicing in the context of family and community.” The four main features of “good” primary care based on this definition are: 1. First-contact access for new medical issues, 2. Long-term and patient (not disease)-focused care, 3. Comprehensive in scope for most medical issues, and 4. Care coordination when specialty referral is required. These metrics ring as true today as they did many years ago.